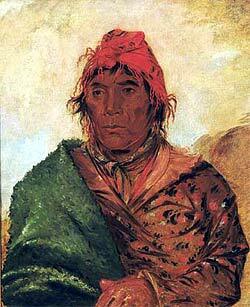 King Phillip, Second Chief, painted from life by George Catlin in 1838. Smithsonian American Art Museum. In September, one of Jesup's black captives led him to his largest prize yet. In a surprise attack, Jesup's men captured King Philip, the chief who had coordinated the devastating attacks on the East Florida plantations. Second in command only to Micanopy, King Philip was the leading warrior taken so far. He had hereditary ties to the earliest Seminole chiefs. Even more relevant now, he was the father of Coacoochee.